Get ready for a NATURAL ENERGY BOOST!!!! 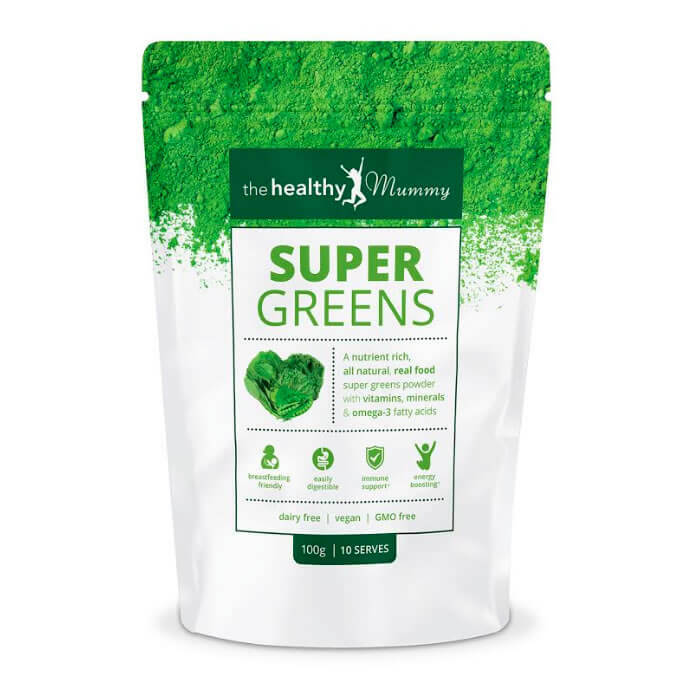 The Healthy Mummy SUPER GREENS Powder vitamin supplement to help boost your energy and support your immune system and it is NOW AVAILABLE on the discounted membership rate. There are NO lock ins, you can cancel at any time and you get your Super Greens delivered each month for a super low rate as long as you want to receive them. 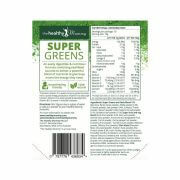 The Healthy Mummy Super Greens powder is the culmination of extensive research and development. It is designed with busy mums in mind, providing energy and nutrients to help keep you going. It is a supplement designed to support your busy life and it has been receiving THOUSANDS of RAVE reviews from mums who have been using it and experiencing amazing energy boosting results – read reviews here. Our Healthy Mummy Super Energy Boosting Greens contains over 37 whole food ingredients and is an easily digestible & nutritional formula, combining real foods sources to a deliver powerful blend of nutrients to give busy mums the energy they need! To protect the nutrients in our premium quality ingredients, the foil packaging has been protected from heat. More IRON than 12 cups of Spinach Iron than Spinach! The Vitamin C equivalent of 1.4kilograms of Oranges! Contains calcium equivalent to 1litre of milk. 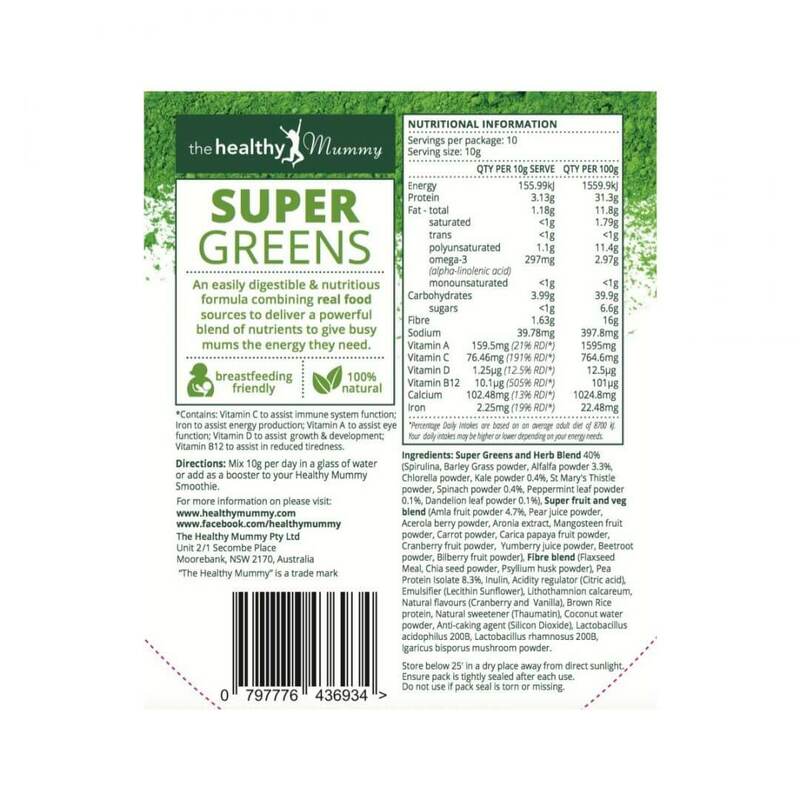 Why is our Super Greens different? Add 10g to a glass of water daily or add it to your daily Healthy Mummy Smoothie!